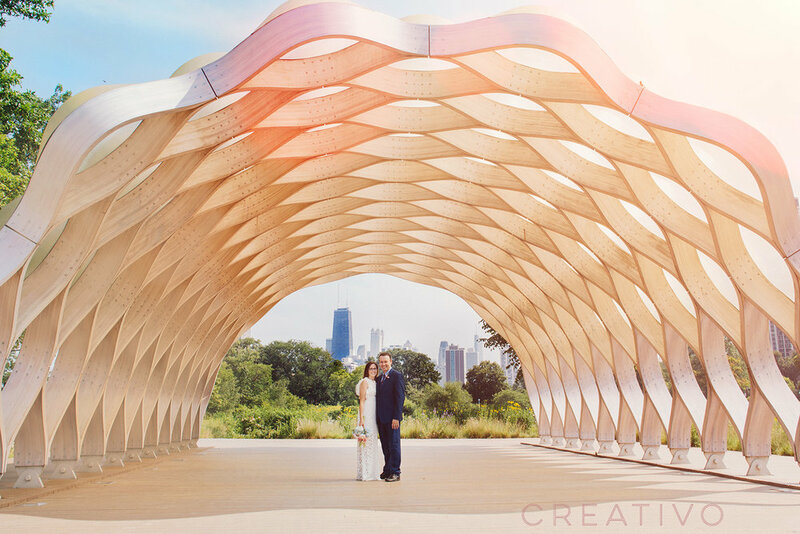 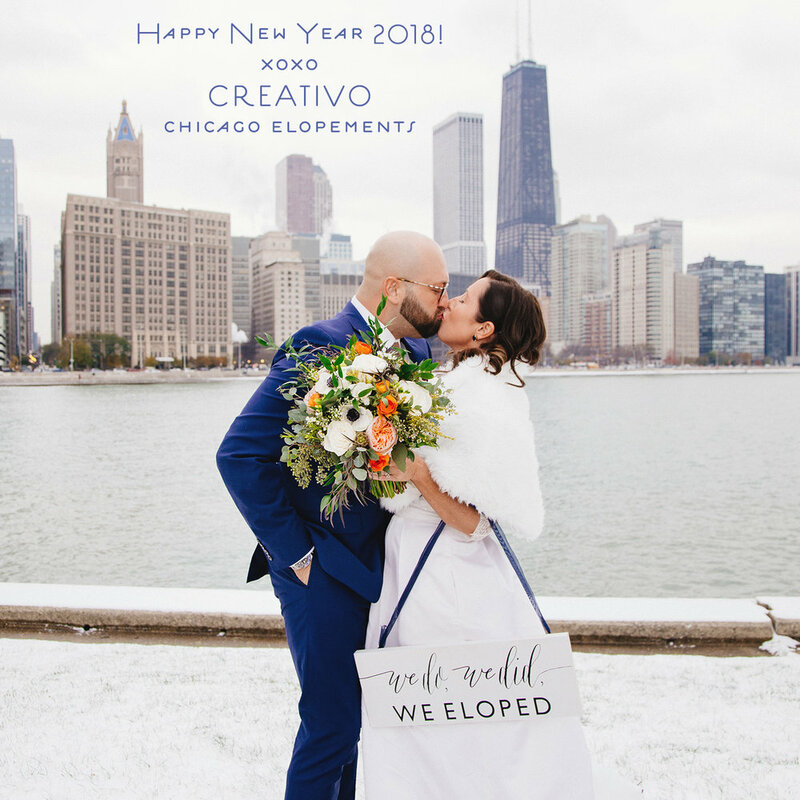 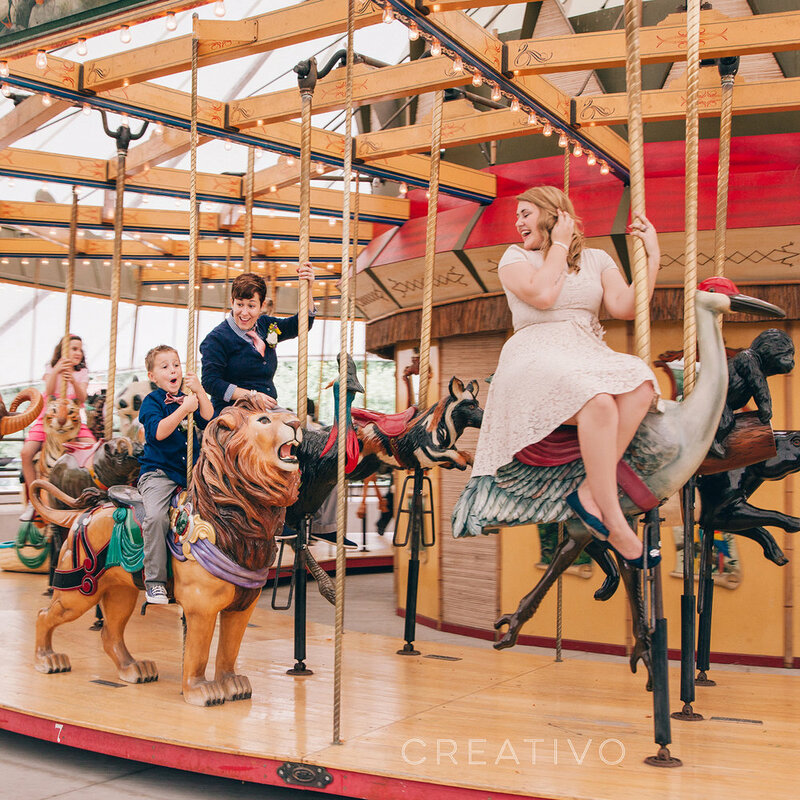 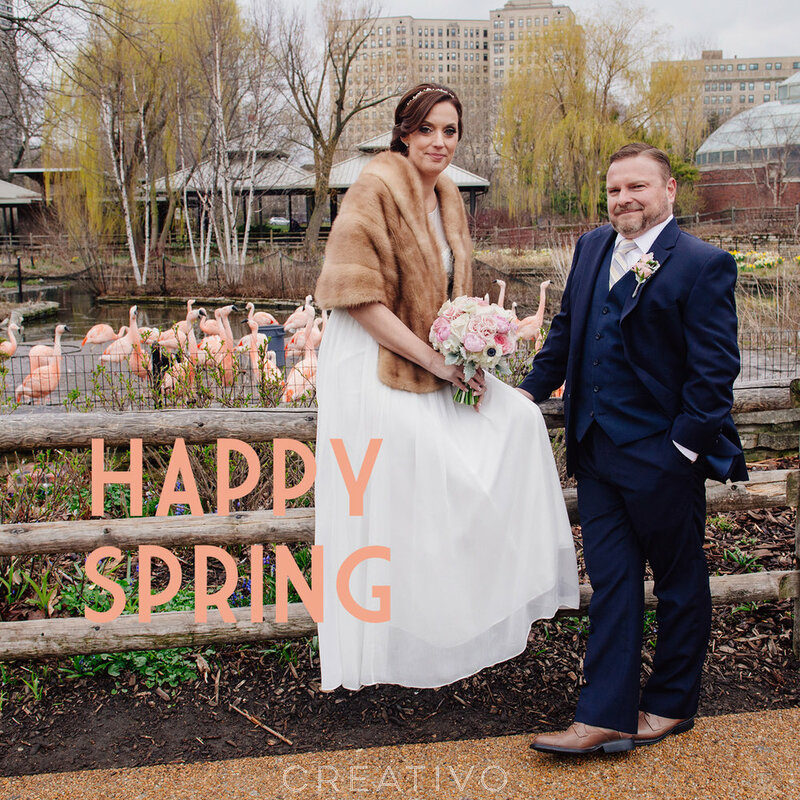 Lindsay and Ryan celebrated an intimate wedding with a small group of 10 people at Creativo Loft in Chicago with wedding portraits on the Magnificent Mile. 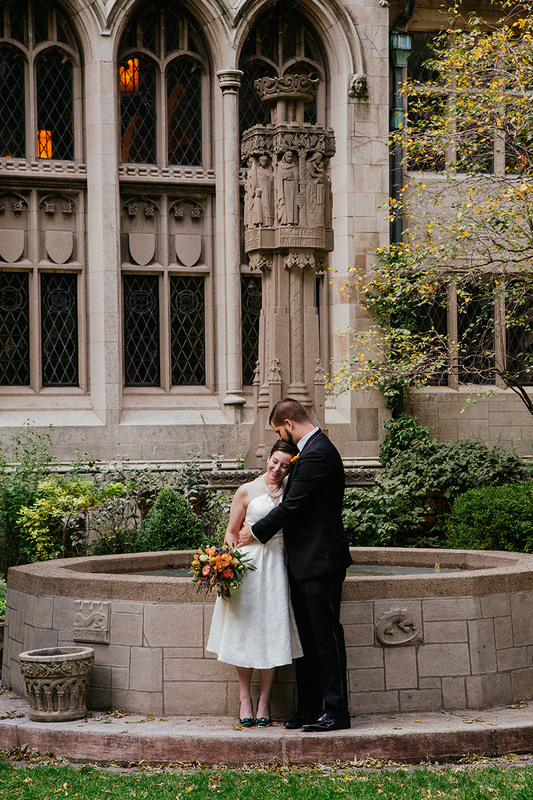 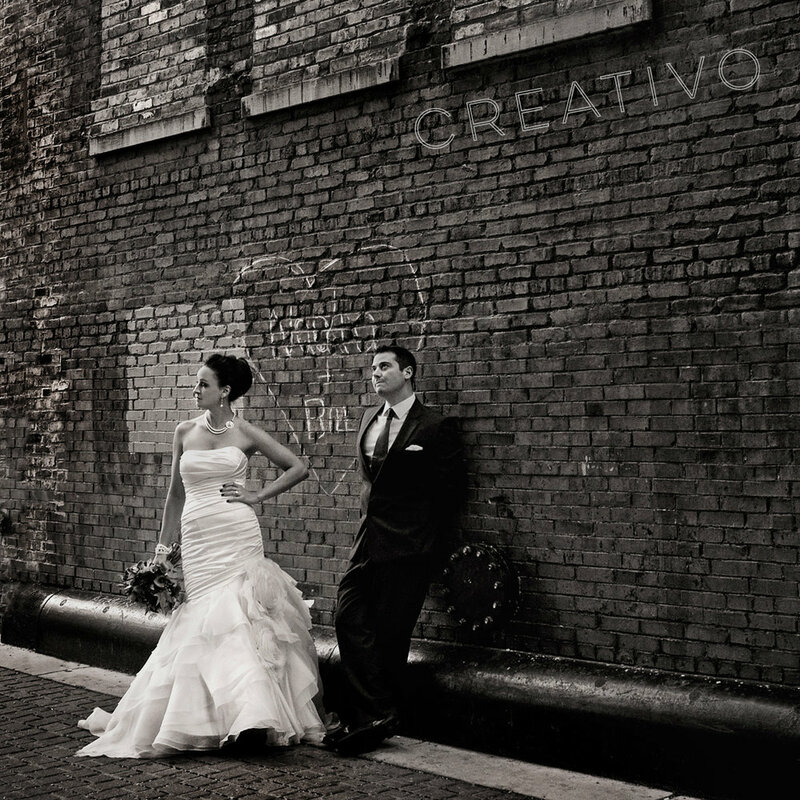 The day started with timeless wedding portraits at a vintage stone courtyard on Michigan Ave in downtown Chicago. 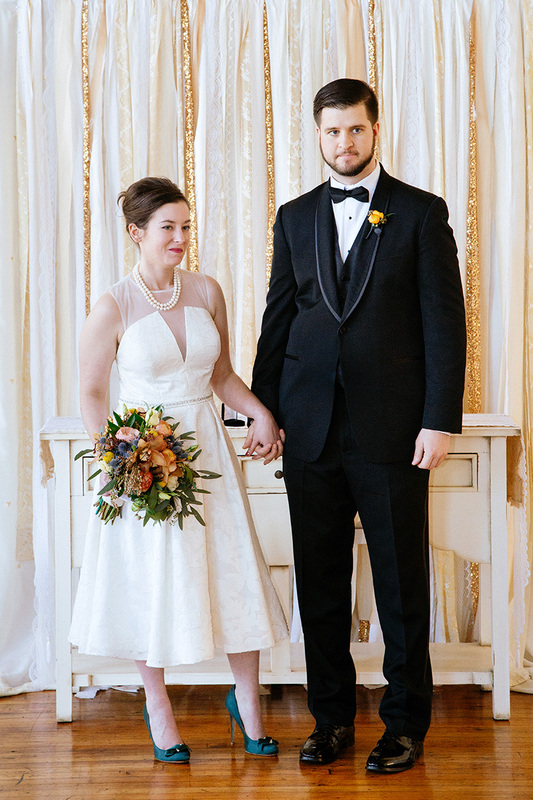 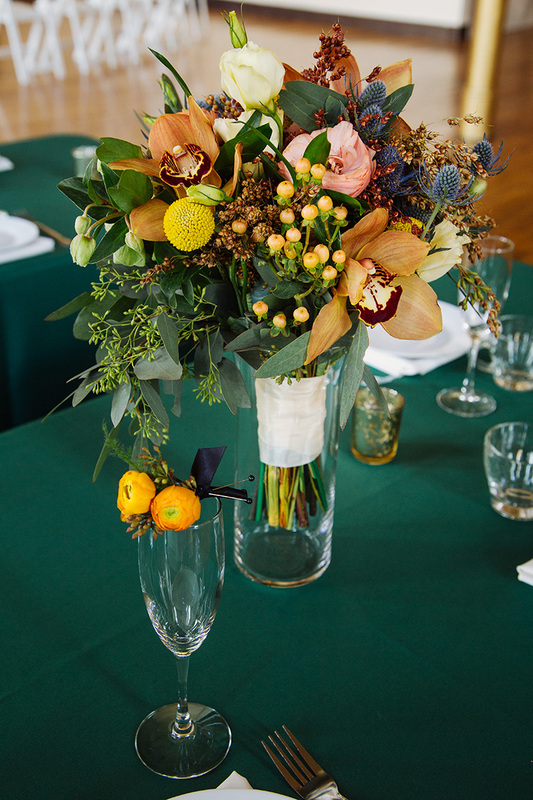 Emerald was the accent wedding color for this lovely couple, which was featured in the bride’s ring, wedding shoes, and table linen during the reception. 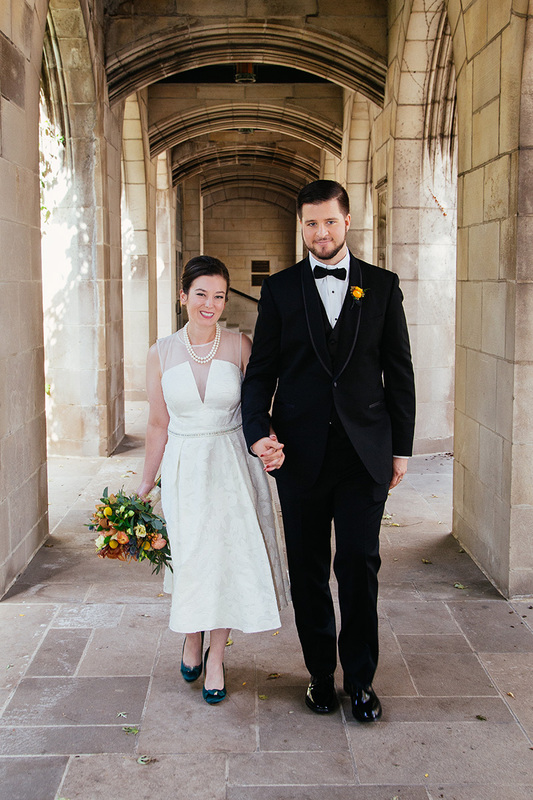 It was a romantic small wedding ceremony and sweet cake and champagne reception with their parents and siblings gathered to celebrate.